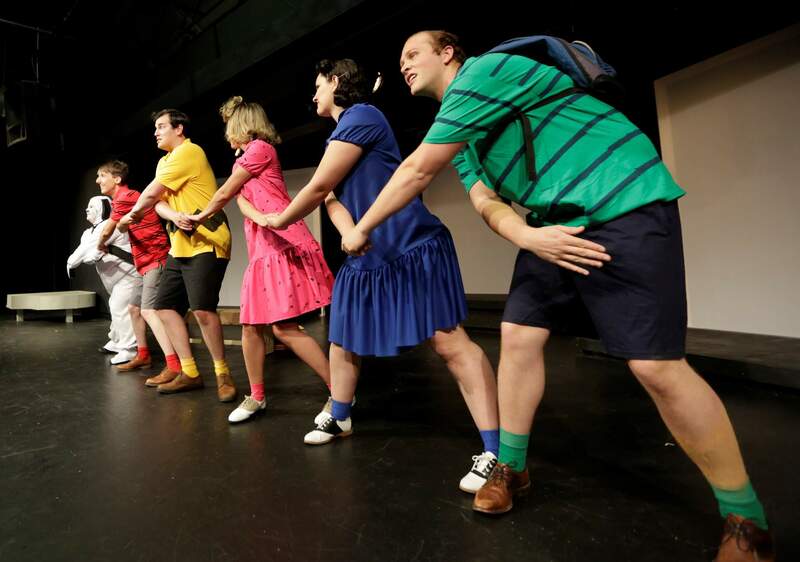 From left, Jonathan Patton as Schroeder; Alyse M. Neubert as Lucy; Matthew Dranzik as Charlie Brown; Matthew Socci as Linus; Cierra Taylor as Snoopy; and Lauren Berkman as Sally rehearse their play, “You’re a Good Man, Charlie Brown” on Wednesday at the Durango Arts Center. 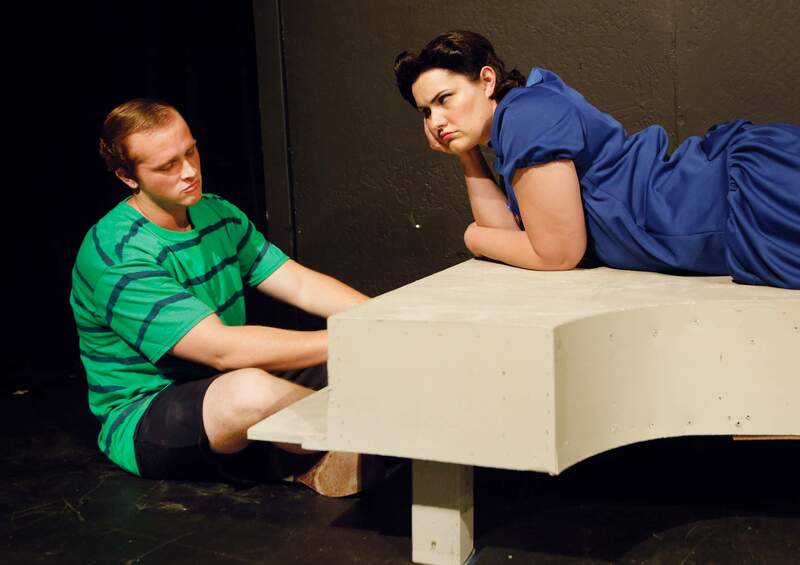 Jonathan Patton, as Schroeder, and Alyse M. Neubert, as Lucy, rehearse “You’re a Good Man, Charlie Brown” on Wednesday at the Durango Arts Center. 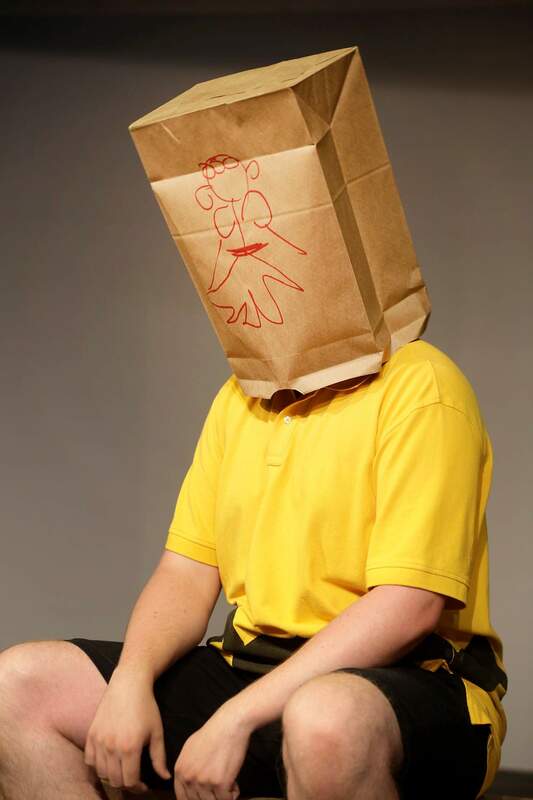 Matthew Dranzik, as Charlie Brown, sits during rehearsal of “You’re a Good Man, Charlie Brown” on Wednesday at the Durango Arts Center. Cast members of “You’re a Good Man, Charlie Brown,” Jonathan Patton as Schroeder; Alyse M. Neubert as Lucy; Matthew Dranzik as Charlie Brown; Matthew Socci as Linus; Cierra Taylor as Snoopy; and Lauren Berkman as Sally rehearse on Wednesday at the Durango Arts Center. In Act II of “You’re a Good Man Charlie Brown,” Lucy takes a crabbiness survey. She doesn’t like what she learns. Linus, her younger brother, gives her a 95. So Lucy punches him out. That comedic bit plus kite flying, a glee club rehearsal and a baseball game come from “Peanuts,” the brilliant and insightful cartoon strip by the late Charles M. Schulz. Other tales slip into Clark Gesner’s musical, which opened Off Broadway in 1967 and has had many revivals since, most notably in 1999 when it won two Tony Awards. If you haven’t seen the musical, now’s your chance. 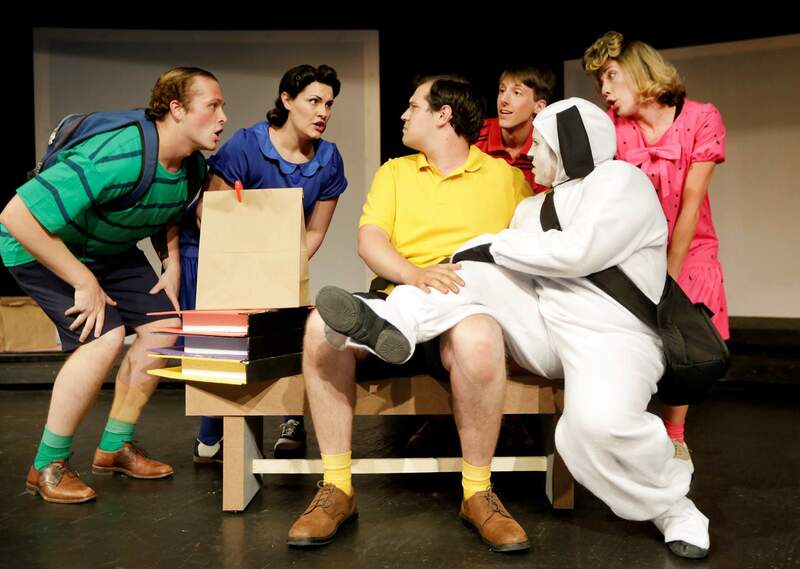 The Durango Arts Center has chosen “Charlie Brown” to be its summer headliner. Ginny Davis directs. The musical begins with Charlie (Matthew Dranzik) alone on stage. Soon he’s joined by Lucy (Alyse M. Neubert), Sally (Lauren Berkman), Schroeder (Jonathan Patton), Linus (Matthew Socci) and Snoopy (Cierra Taylor). They offer overlapping opinions about Charlie. Momentarily, he’s happy as they collectively refer to him as a good man. But doubt creeps in and propels much of the remaining action. With a six-character cast, a three-piece jazz band and a spare set, the action moves through a lot of quintessential Schulz vignettes, Davis said. Paula Millar, music director and pianist, heads up the jazz band. FLC graduates Katrina Hedrick (percussion) and Evan Suiter (bass) have performed with the San Juan Symphony and have affiliation with Stillwater Music. In the fall, Hedrick heads to the master’s program at Colorado State University. Tracy Korb (bass) alternates with Suiter. She plays with various local groups and is a regular at Durango’s Jazz Church sessions. Technical direction is in the capable hands of Eric Bulrice with assistance from the DAC dream team: John Mark Zink, lighting, Jane Gould, costumes, Neubert, choreography, and DAC’s inimitable producer Theresa Carson. If you want to see if Lucy has a rare moment of reflection in Act II, don’t miss the show. The show will open July 1, and runs evenings that weekend, followed by a break and will resume July 14-16, 21-23. There are matinee performances July 3 and 31.